Beautifully embellished Kundan Rakhi studded with pearl beads will make the celebration of Raksha Bandhan unforgettable for life. 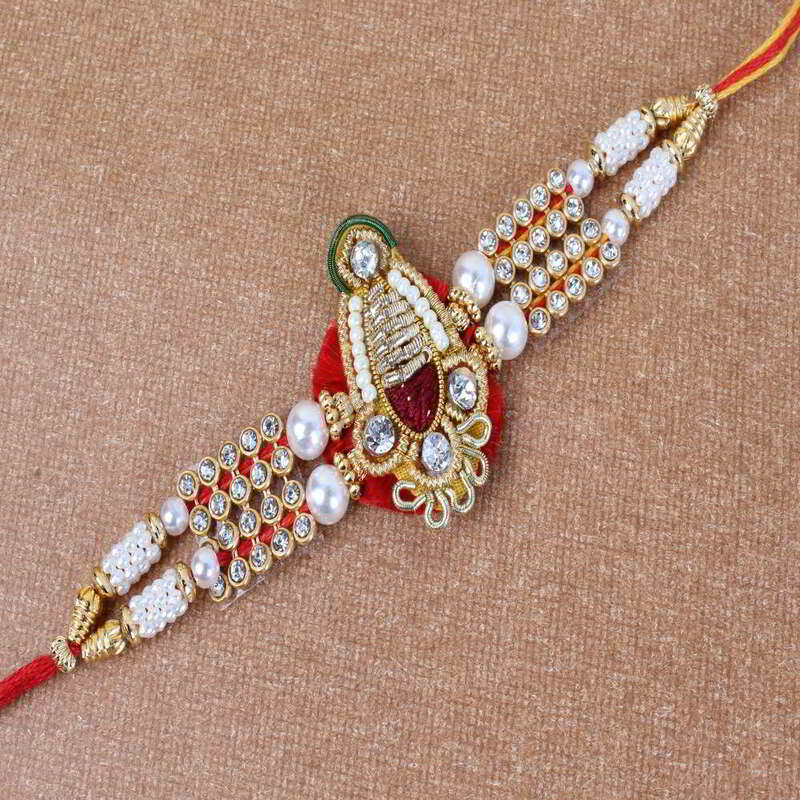 The look of the Rakhi is such that it reflects a royal expression. 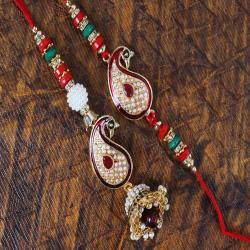 The Kundan placed on the dial of the Rakhi along with pearls and white stones look amazing. 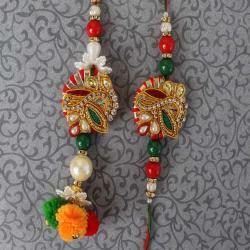 The dial and the chain of the Rakhi is what make it special and classy. 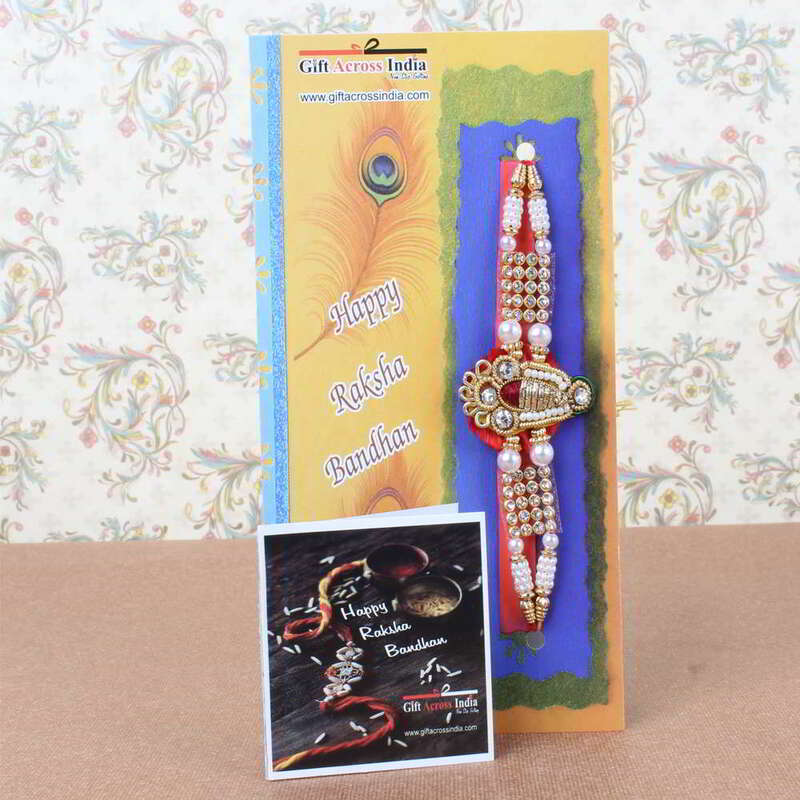 Relish the special moments of Raksha Bandhan with your loved one and make beautiful memories with them. 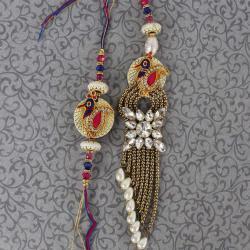 Gift this super stylish Rakhi and make the eve memorable for life time. 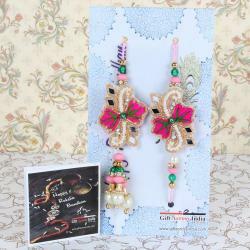 Product Consists: Attractive Kundan Rakhi decorated with Pearl Beads nicely tied on a designer Card.